Hang in there. 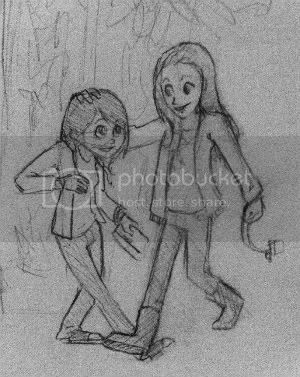 Cute sketch. I think your friend is trying to trip you. We were both trying to trip eachother.